In this paper we consider the problem of comparing an arbitrary Petri net against one whose places may contain only a bounded number of tokens (that is, against a regular behaviour), with respect to trace set inclusion and equivalence, as well as simulation and bisimulation. In contrast to the known result that language equivalence is undecidable, we find that all of the above are in fact decidable. We furthermore demonstrate that it is undecidable whether a given Petri net is either trace equivalent or simulation equivalent to any (unspecified) bounded net. The first author is supported by the Grant Agency of the Czech Republic, Grant No. 201/93/2123; and also received partial support from Esprit Network EXPRESS in order to visit the Swedish Institute of Computer Science, during which time the research reported here was carried out. The second author is supported by Esprit Basic Research Action No. 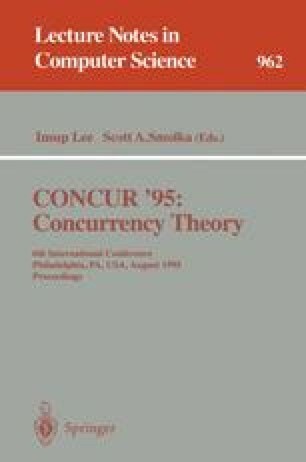 7166, “CONCUR2”.